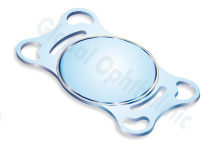 Aspro lenz is an ultra view aspheric acrylic Hydrophilic foldable IOL with Negative spherical aberration and 360° step square edge PCO barrier Optics. Aspro lenz FA 5725D is an aspheric acrylic foldable IOL’s made of FDA approved highly bio-compatible ultra pure monomer with low refractive index and blocking material. 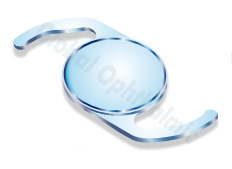 Aspro lenz FA6025D is an aspheric acrylic foldable IOL’s made of FDA approved highly bio-compatible ultra pure monomer with low refractive index and blocking material. 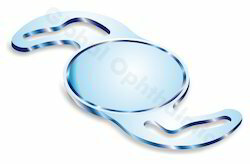 Accura vue FA6025 is yellow series acrylic foldable IOL’s made up of FDA approved highly bio-compatible ultra pure monomer with UV-A blocking and violet blue light filtering material which contains the same UV-A blocking and violet Blue light filtering chromophore that is in human crystalline lens. Aspro lenz FA6030 is an aspheric acrylic foldable IOL’s made of FDA approved highly bio-compatible ultra pure monomer with low refractive index and blocking material. Aspro lenz FA 6010 is an aspheric acrylic foldable IOL’s made of FDA approved highly bio-compatible ultra pure monomer with low refractive index and blocking material. Looking for Aspro Lenz ?